When was the last time you took some time out to do something just for you? A day away from the busyness and relentless demands of everyday life? A day of self-care? 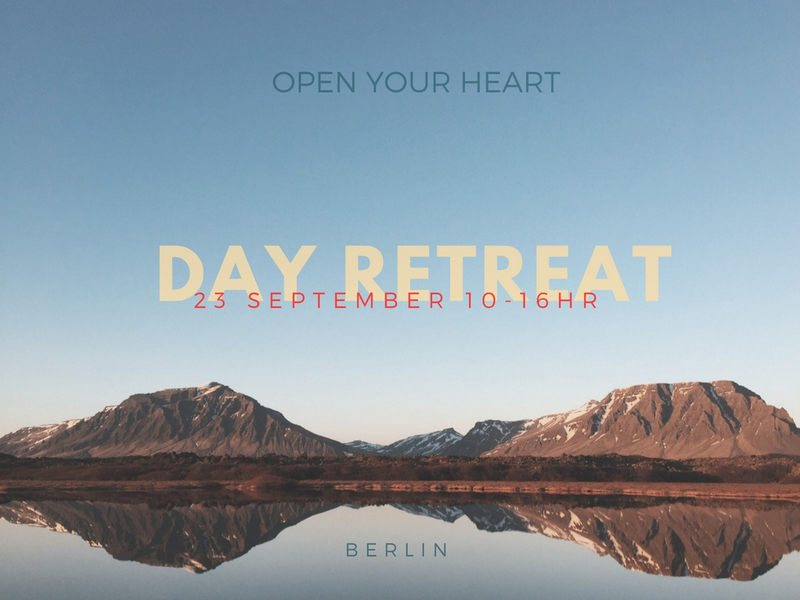 Open Your Heart’ Day Retreat offers an opportunity to get in touch with the need for inner stillness and clarity that we all carry within us, but which is so often drowned out by the white noise of our everyday lives. Across the day mindfulness meditation teachers Signe Glahn and Megan Spencer will present (in English) a variety of gentle, guided meditation practices and mindfulness exercises that cultivate balance, harmony and spaciousness in mind and body. Suitable for beginners or those wishing to deepen their existing practice, this day of self-care will include both still and moving practices, in a friendly, intimate group environment, at a beautiful setting located in Berlin-Kreuzberg. This is a unique chance to spend some time exploring the habitual patterns of your own mind, and to take the first steps towards developing tools to recognize – and break free from – those that might no longer be helpful. Meet your moment-to-moment experience with kindness and acceptance as it unfolds throughout the day. Open your heart, touch the world. 55€ per person, lunch provided. Chairs and cushions provided. BYO yoga mat, blanket, shawl, slippers, socks, or anything else for comfort. Payments may be made by bank transfer or cash (with prior arrangement.) Bookings can only be confirmed upon receipt of full payment and a completed registration form. Places are limited (10 spots only). Registrations close by 18hr, 20 September, 2017. Please read Ts & Cs here before registering. Ticket refunds are not possible after 18:00, Thursday 21 September 2017, unless the event is cancelled by the organisers (or at their discretion.) A minimum number of participants is required for this event to go ahead. 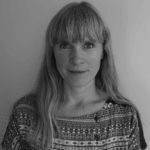 Originally from Denmark – but with the last 15 years living in London, New York and Berlin – since 2009 SIGNE GLAHN has spent most of her working life running and managing international development NGOs. Working in this high-pressure, chronically understaffed and underfunded sector in highly demanding, stressful positions, in 2007 Signe first experienced meditation and mindfulness through a MBSR (mindfulness based stress reduction) course in London. This life-changing encounter became the beginning on an ongoing exploration through daily meditation practice and regular retreats of what it means to be present, to truly meet, hold and experience the fullness of our life that is at the same time incredibly precious and unbelievably fleeting. This journey ultimately led to Signe enrolling to become an MBSR teacher herself. She began training in the summer of 2015 through The Center for Mindfulness in Massachusetts, USA, and has through her training participated in courses run by senior MBSR teachers like Jon Kabat-Zinn and Saki Santorelli. She completed the final course module in February 2017 and is now a qualified MBSR teacher. Since the autumn of 2015, Signe has been running mindfulness classes in Berlin focusing on handling stress as well as overcoming harmful thought patterns and emotional reactivity through kindness, self-acceptance and compassion. MEGAN SPENCER is a media arts professional and mindfulness meditation teacher from Australia, who lives in Berlin. She has a Masters in Media Arts from RMIT University (Melbourne, Australia), and a dynamic history as a broadcaster, filmmaker, writer, critic and photographer – and as public speaker and workshop facilitator. Since 2009 she has studied and practiced Mindfulness Based Stillness Meditation (MBSM), first learning it at The Gawler Foundation, Australia, where she also completed Meditation Teacher Training in 2011 and 2016. With a particular interest in kindness and self-compassion – and the benefits meditation and mindfulness can bring to the workplace – Megan has continued further studies and professional development at Atisha Buddhist Centre (Australia), The Gawler Foundation (Australia), Breathworks (Spain & Manchester), Centrum voor Mindfulness (Amsterdam), and online through Monash University, Sounds True and the Center for Mindful Self-Compassion. 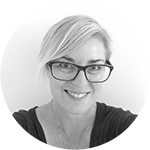 In April 2017 Megan returned to Australia to undertake MSC Teacher Training as developed by Dr. Kristen Neff and Dr. Christopher Germer, facilitated by the UCSD Center for Mindfulness. Email us! Connect with the ‘Open Your Heart’ community on Facebook and Meet Up. Read ‘Open Your Heart’ testimonials.